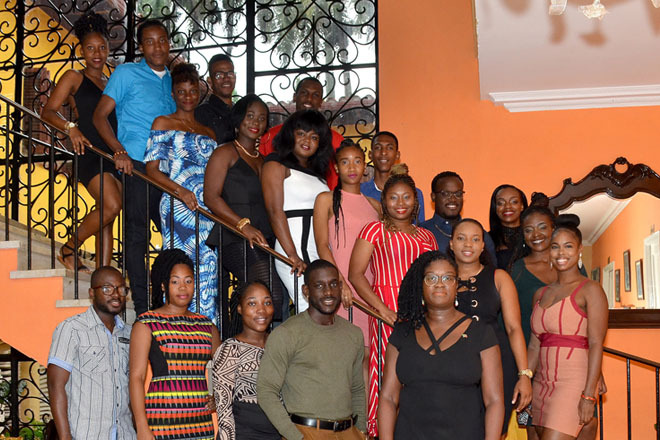 In late September, just over eighty persons joined the federation’s embassy in Havana to celebrate the 35th anniversary of independence of St. Kitts and Nevis at Villa Cuquine in Cuba. St. Kitts and Nevis’ students from the different provinces in Cuba traveled to Havana to participate in two full days of activities culminating in an official ceremony, dinner and cultural performances. During the ceremony, the federation’s ambassador to the Republic of Cuba, Her Excellency Verna Mills delivered a message on behalf of the embassy despite extreme weather conditions that resulted in a power outage for just over two hours. Members of the Diplomatic Corps, Cubans of St. Kitts and Nevis descent, embassy staff, Cuban friends and well-wishers were also present at the ceremony.